The Heart and Stroke Foundation and the Canadian Institutes of Health Research are providing $3 million to create the new Canadian Resuscitation Outcomes Consortium (CanROC), co-led by Dr. Ian Stiell. The initiative will focus on improving survival rates for cardiac arrest and trauma that occur outside of hospital. Fewer than 10 percent of people survive a cardiac arrest when it occurs outside of a hospital. CanROC will research ways to make ordinary Canadians more aware and more willing to perform CPR, study ways to improve emergency response, and investigate new resuscitation drugs, tools, and techniques, with an aim to increase the chances of the patient making it to hospital alive. See media release for details. 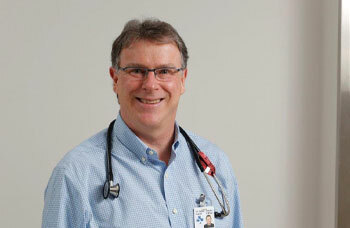 Dr. Stiell was interviewed by the Ottawa Sun and 1310 News Ottawa. Co-Principal Investigators: Laurie Morrison, Jim Christenson. Local Co-Investigators: Christian Vaillancourt, Martin Osmond, George Wells.